A favorite nursery rhyme gets a new, upbeat ending in this charismatic board book. What if Humpty could be put together again? 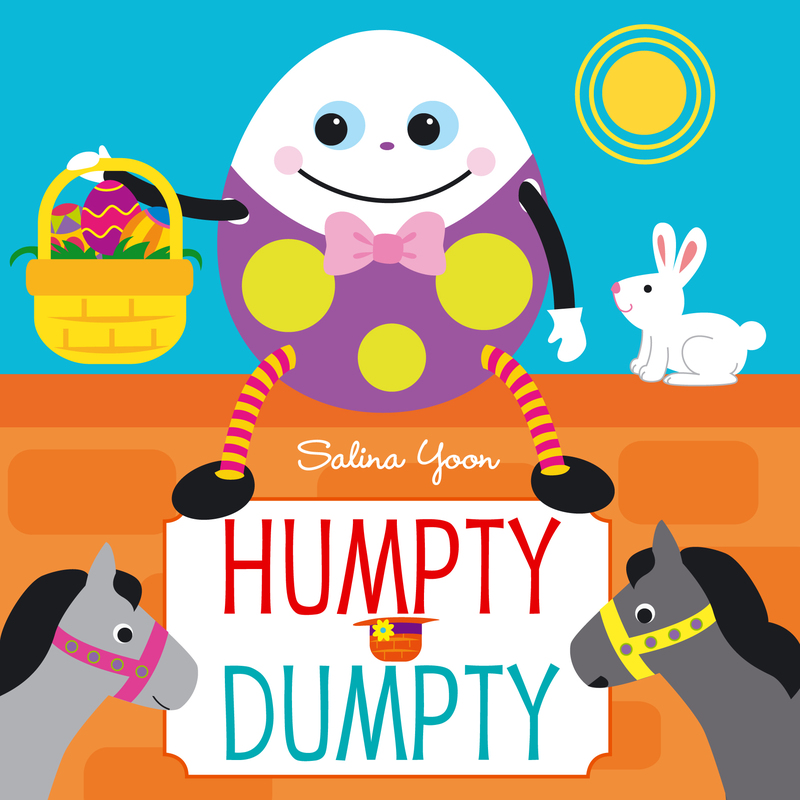 Salina Yoon takes the popular nursery rhyme and gives it a fresh twist, adorning the pages of this chunky board book with lively images of a lovable egg. Kids and adults alike will enjoy the updated, positive ending to this classic rhyme!